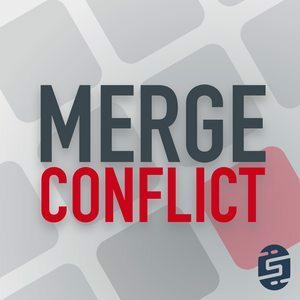 149 episodes of Merge Conflict since the first episode, which aired on July 11th, 2016. The time will soon be upon us that we can start shoving all of our UIKit based applications on to macOS! What a glorious day that will be once Apple opens up those APIs to developers... or perhaps that day is today with a few hacks! We discuss everything we love about Marzipan and the potential that it has on our applications, frameworks, and the industry. This week we are diving into one of the final parts of DevOps, which is continuous monitoring and learning about our apps and our users. Frank has gone all in on integrating crash reporting and analytics into his apps and we discuss his outcome. What more do we need to say? We sat down with Miguel de Icaza to pick his brainabout the past, present, and future of .NET. Miguel gives his insights into where the entire industry is moving and why GUI based console applications are so important. This is a legendary episode that you do not want to miss. At Microsoft Build 2018 we sat down with the legendary Jb Evain. The man behind libraries and technologies we use every day including Mono.Cecil and the Mono linker itself. We discuss all this and his passion for creating the Visual Studio tools for Unity and everything new that Unity has to offer.